Some people believe that the director of an orchestra merely gives instructions to coordinate the instruments. That’s not true. In every one of his gestures, in every expression, he also has the essential task of STIMULATING the orchestra, each time renewing the various energies that bring together the musical performance. “Sound is not music, but it can become it. I inflame the desire to associate that is in each of us” said the great orchestra director Sergiu Celibidache. This is Open Fiber’s role: not only to connect and harmonize all the country’s players at the same new and higher speed, with a network completely in FTTH fiber at 1 Giga a second, but also to inspire passion, innovation, opportunities and development, revitalizing the entire social and economic fabric, to bring Italy up to the rhythm of constantly new challenges of the digital era. Thanks to a truly large infrastructural undertaking, for its size and and technological effort as well as because it improves the quality of life of everyone, the entire country enters the future. A future that has a new name, as the payoff says, an Open Fiber future. 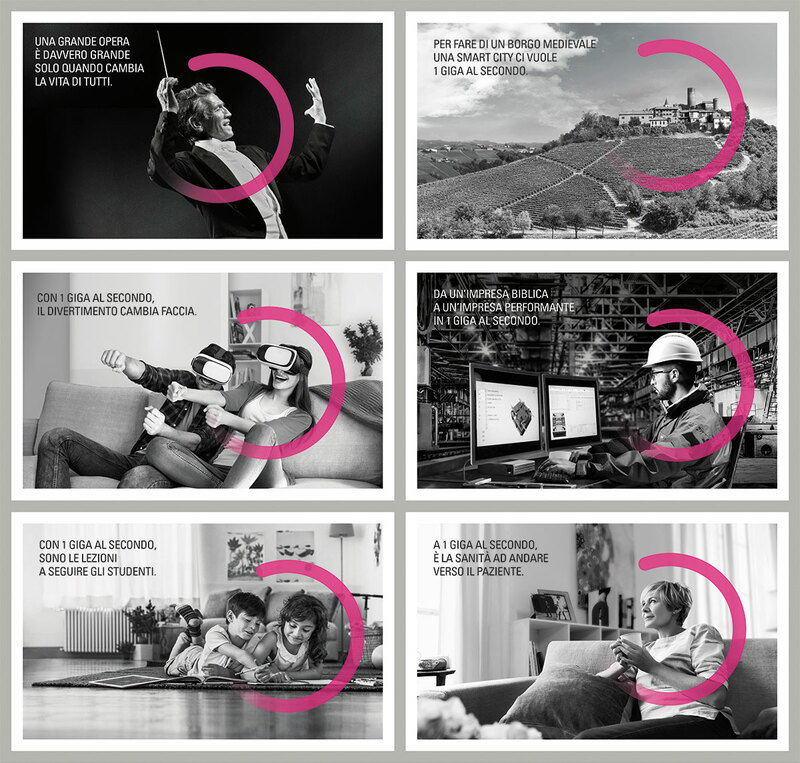 The other subjects in the campaign, similar in their elegant black and white photos with the magenta Open Ring, signify the various fields– from work to school, healthcare to research, entertainment to culture – affected by the benefits brought by the new Open Fiber network.